ScreeningMate is a service that helps escorts screen their clients. It can be used as one tool for client verification. Its servers are hosted in another country. Clients can create an account and verify their info. 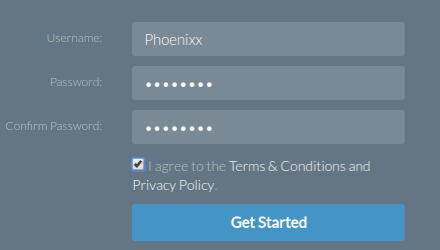 Then, when they fill out a provider’s ScreeningMate form, it’ll be quick since everything the client already verified their info on their account. ScreeningMate is used with Karma Screen, and it’s another verification system for escorts to screen clients. Escorts actually use Karma Screen to screen, edit their calendar, write newsletters, etc; however, they have to first create an account on ScreeningMate. Read below on how to integrate the two. 1. Go to the ScreeningMate website. 3. Fill in the required info. NOTE: USE A REAL EMAIL ADDRESS & PHONE NUMBER TO VERIFY YOUR ACCOUNT! *** Take note of your ScreeningMate username & password. After you verify your email and phone via ScreeningMate, you can then use your login credentials for Karma Screen. 4. Log in to your ScreeningMate account and verify your email address and phone number! After verifying your info via ScreeningMate, Karma Screen is where you’re going to edit your bookings and such. 2. Log into your account using your ScreeningMate credentials! Voila! You’re now in your account and ready to accept bookings!